Racing is complicated but getting better is not. Reasonable goals are the key. I keep things simple and focus initially on a few important points. Racing is more fun when you are improving. I help drivers develop a method of analysis so they get the best bang out of their expensive track time. Good quality seat time is essential. Progress breeds confidence. Happy drivers go faster. I’m getting good results and that’s the bottom line. Listening is key as what the driver thinks and feels is paramount. I don’t tell drivers how to drive, rather I help them come up with ways to address their weak points. Most competitors already have a sense of what they want to address. This is what they are ready to work on. If I see something else, I’m going to mention it but I go by their agenda. A good coaching conversation helps them solve their issues and builds confidence. The driver who just made a small gain and understands how and why it happened, owns the result. They are the ones most likely to make the next gain. “There are reasons Jim Kearney is such a great coach. First, he’s been there and done that himself – he comes with a load of experience behind the wheel, experience that led to many wins. Second, he understands that it’s not just about the car, but it’s about the what’s going on inside the helmet. He sees coaching as more than just pointing out where the apex of a turn is. It’s about the plan, the process, to get to where the driver wants to go in as simple a way as possible – no matter whether the driver is 17 or 70. In fact, his ability to explain things and lay out a strategy that works is one of his super powers! Finally, Jim knows how to connect and relate with drivers. I’m sure it’s all of those things that have led to his drivers winning in practically every level of open- and closed-wheel racing.” – Ross Bentley, driving coach and author of the acclaimed Speed Secrets series of books on driving in competition. 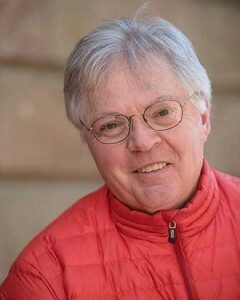 Jim was interviewed about his approach to driver coaching by Mark Greene for his website CarsYeah.com. “I think it is really, really important to figure out a way to stay upbeat and confident. You have to remind yourself that whatever it is, be it racing, a track day, or auto crossing, it is something that most of the people on the planet will never get a chance to do. You should remind yourself that it is something pretty glorious.” Check out CarsYeah for the complete interview, in addition to many other interesting interviews with people fascinated with cars and drivers. “We’ve been top 10 contenders the last couple years but you were that piece we were missing to stick it all together. You got my head into it the right way.” Tim Paul, Pro F2000 Championship Series Third in Points 2017. “My coach is Jim Kearney. Probably the best investment I’ve made in racing.” – Dale Rader, 2016 Runoffs, Mid-Ohio, 7th place. “Things really picked up for me after I started working with Jim in 2011. I felt a change in my overall attitude, I felt that I belonged up there, that I could run with the top guys. It is amazing what that feeling can do for your performance. 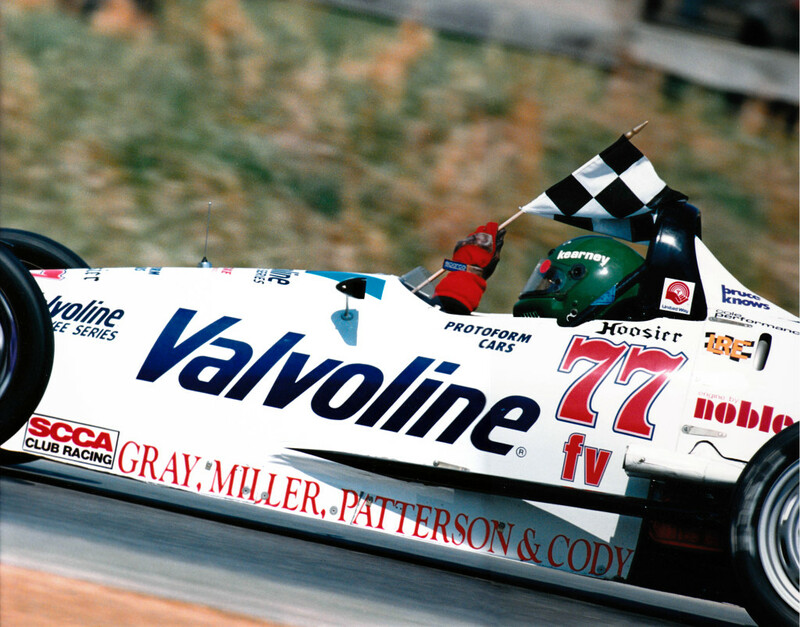 I always felt about a second faster when Jim was there with me.” – Gary Blanarik, 2012 FV Runoffs Bronze Medal, Road America; 2016 FV Runoffs Bronze Medal, Mid Ohio. “I appreciate your input and the manner in which you do your business. It works well for all involved.” David Clubine, President, Britain West Motorsports. “I like what you did with Zach Craigo at the Mid-Ohio F2000 event and I hope we can work together again.” Rick Hayes, Front Range Motorsport. Kearney Driver Development (KDD) is all about helping you preform better on track. It is about turning possibilities into realities. Check the Results section to see how my drivers have fared. Here I want to tell you what you can expect if you decide to work with me. KDD believes in a steady, systematic approach that builds comfort and confidence. Confidence comes from meeting reasonable goals. You can’t rush it. If you scare yourself silly, confidence is eroded. You will retain gains when you understand exactly how you made them. A new personal best is a wonderful thing. Understanding how it happened is priceless. To build confidence and consistency I help drivers review their racing process. I establish an objective review protocol and focus upon specific areas for improvement. My observations and analysis of segment times are coupled with a structured debrief using the track map, as well as review of in-car camera footage and computer data. Very specific feedback, with concrete examples and segment times, enable the driver to understand how to make gains. • 22 Runoffs with nine top 10’s, 1991 Silver and 1996 Bronze. I tune the helmet, I don’t engineer the car. I’ve coached at Pro events, Mazda MX-5 Cup, the SCCA Runoffs, Majors and Regionals in F2000, F1600, Formula Vee, Formula Mazda and Prototype 1. Each driver is different and all can improve. An orderly approach and review instills drivers with the confidence to perform better. 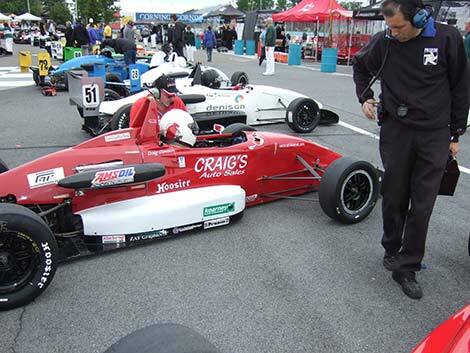 I first worked with Craig Clawson at the June 2011 Watkins Glen event and he cut 1.8 seconds off his prior best time and gridded 8th in a Pro F2000 field of 32 cars. A good coach helps you dig deeper to get better results. While there is no certain timetable, it helps to know that progress is just around the corner. Understanding exactly where and why you made gains means you get to keep them. Small gains lead to more small gains. Little gains add up quickly. As you gain confidence, your level of performance rises. Happy drivers go faster. Kearney Driver Development: Drive fast. Improve.